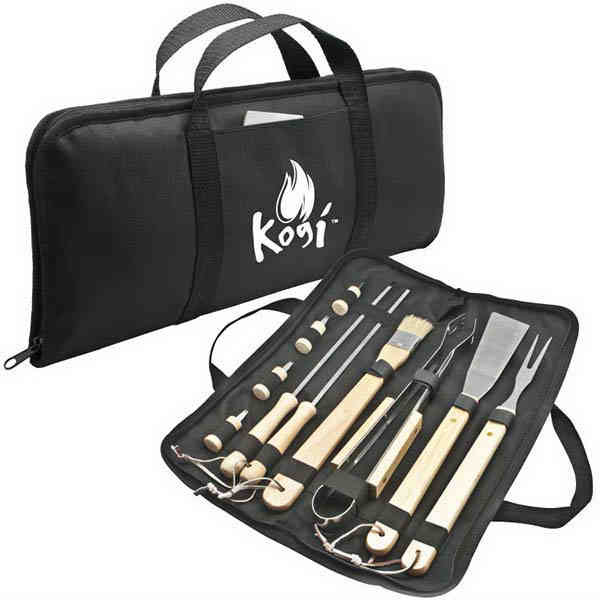 11 pc BBQ tool set. Includes: spatula, BBQ fork, tongs, basting brush, 2 skewers, 4 corn cob holders and a 600 denier polyester carrying case. All tools made from professional grade steel with solid wood handles. Size: 7" h x 17" w x 1" d.
Size: 17 " x 7 " x 1 "
Price Includes:1 color, one location imprint.